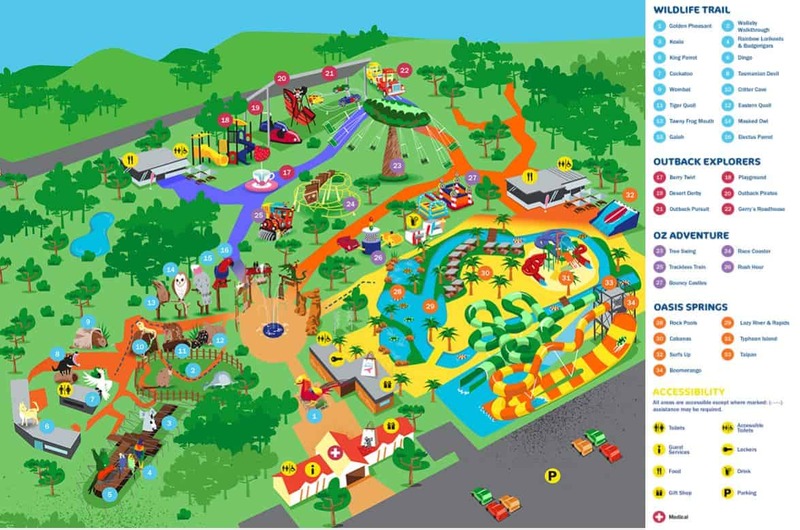 Gumbuya World (formerly known as Gumbuya Park) is a nature amusement park located in the area of Tynong; located south-east of Melbourne. This park features a beautiful natural oasis; featuring water rides, roller-coaster, tree swing, dodgem cars, lazy river and so much more! 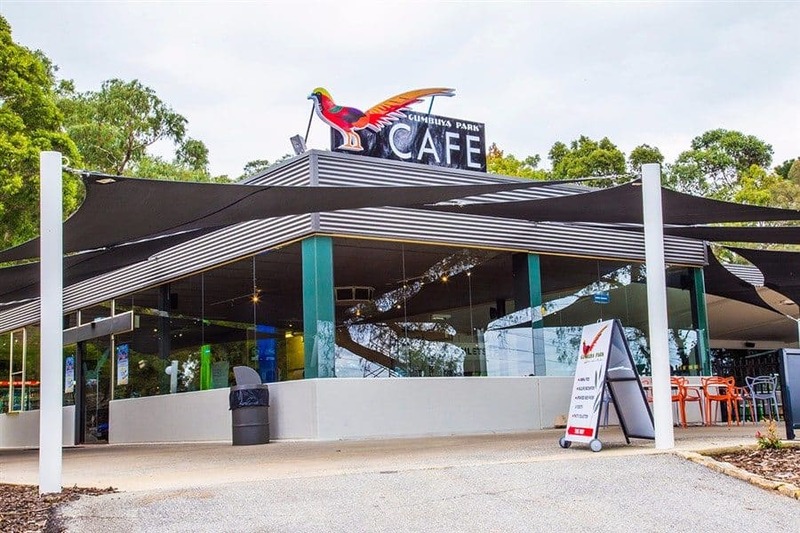 Those with kids will be pleased to know that Gumbuya World has recently been renovated and is now Melbourne’s newest theme park with new rides as well as native wildlife; including wallabies, Australian birds, kangaroos, wombats, emus and dingos. Back in 1978, the park was originally farmland. Later, this quaint farm was converted into a small wildlife park and opened to the public. By 1981, the Greenleaf restaurant was built on site. In 2017, the park was renovated to bring the park into the 21st century! This perfect family outing spot has something unique for everyone. Gumbuya World consists of a number of ‘worlds’, each with its own unique twist. ‘Oasis Springs’ is where you will find fun waterslides, lazy river and Typhoon Island. 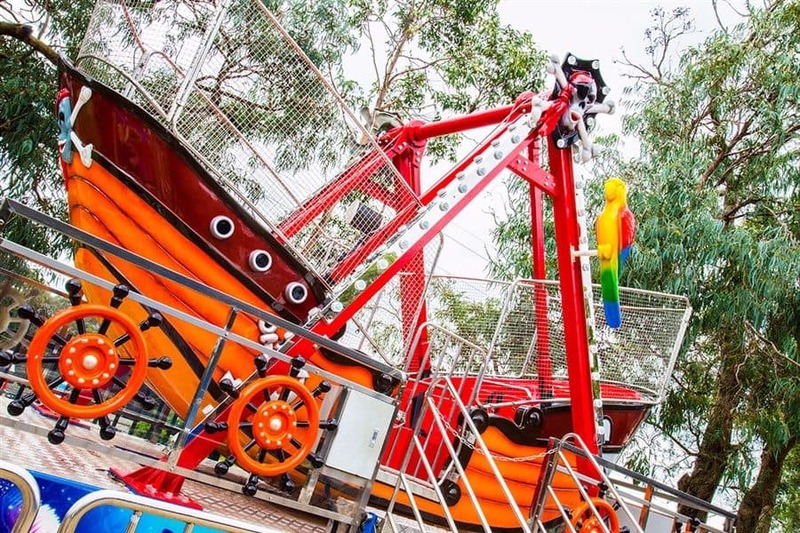 ‘Oz Adventure’ has a fun roller coaster, tree swing and a trackless train. “Outback Explorers” is perfect for little kids with a range of rides for younger kids including dodgem cars and pirate ship. 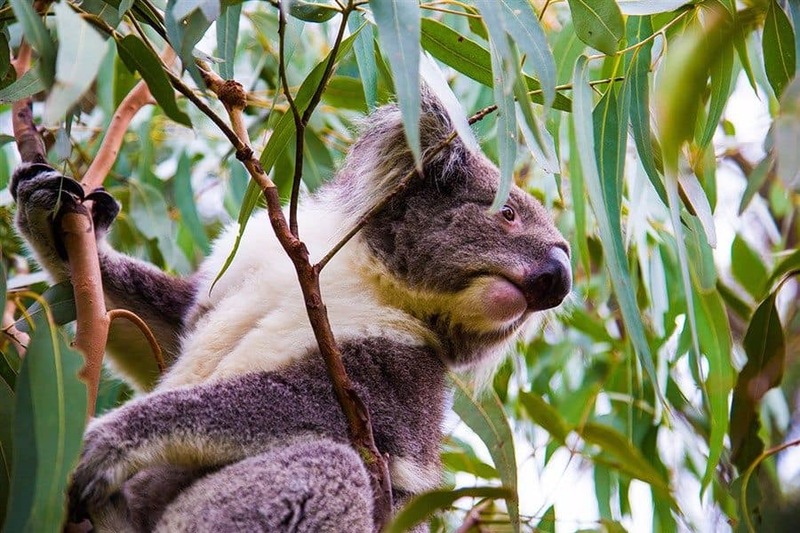 The “Wildlife Trail” will bring you up close and personal with koalas and dingoes and visitors will also be able to walk through a huge aviary and pat some animals in the petting zoo. Visitors are able to purchase food and rinks inside the park, however Gumbuya World does not allow outside food (with the exception of baby food and water bottles). There are no onsite BBQ’s at Gumbuya World, so unfortunately picnic BBQ’s are not permitted and dogs are also not permitted in the park. All public spaces in Gumbuya World are pram and wheelchair friendly. 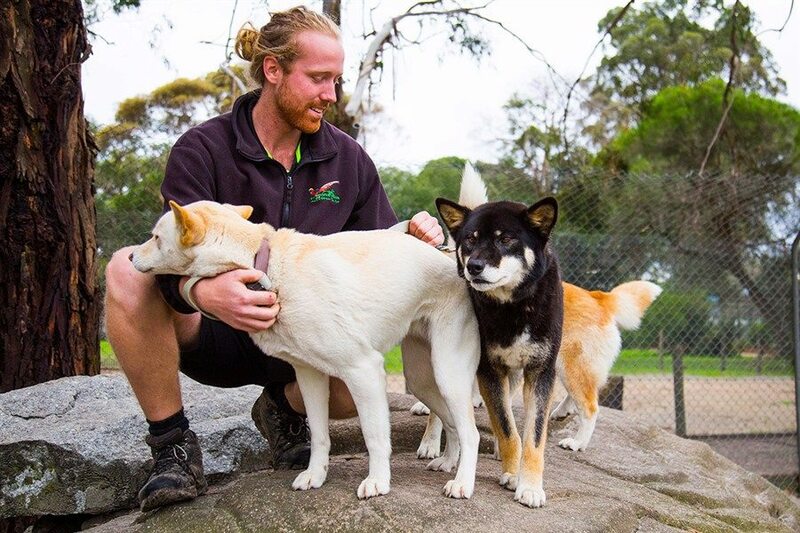 You can get to Gumbuya Park by taking the M1 (Princes Freeway) 75kms from the Melbourne CBD, the trip will take approximately 1 hour. There are no public transport options that can get you to Gumbuya Park easily. The closest train station is Tynong which is 5.7kms away. What dates will Oasis Springs be open? Is it weather and season dependent? Oasis Springs will close over winter. The current advice I have is that it will remain open up to/during Easter school holidays, and will then close for a couple of months over winter. It will likely reopen in time for the September school holidays and remain open over Spring and Summer. Thanks for your comment. A lot of people seem to be upset at Gumbuya World at the moment because of the increased prices. I will come to their defence though, as they have spent millions transforming this park from a basic nature park from the 90’s into a large theme park of the 21st century. So, I wouldn’t expect the same experience as you used to have when you last visited. It should be much bigger and better with world-class facilities, rides and experiences. I would encourage you to give them a go! 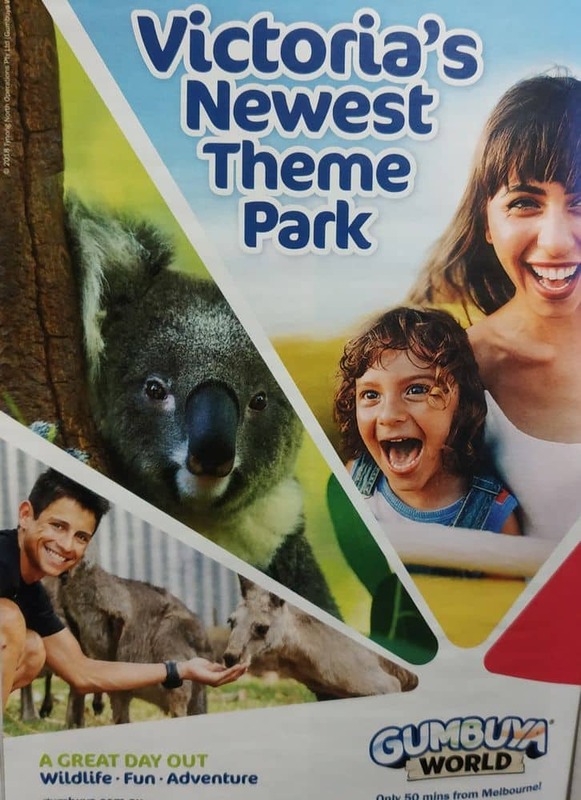 It looks good, but your offering very high costs considering its not as big as the theme parks in Queensland, Family passes would be a great idea. Other wise it is to costly for families . Not being able to take food in would mean more money to feed the children as children are always hungry. maybe you guys should look into making it more realistic for families out there. I am sure you would have more families wanting to go then. You make a valid point. I suggest you contact Gumbuya World directly at [email protected] to pass on your concerns. I am sure that they would welcome your feedback. I suppose the prices reflect the nature of the park being more of a theme/water park now with many more rides, activities and services. Perhaps you could contact Gumbuya Park directly to ask them whether they will offer Concession or Family discount tickets in the future. Does entry price include all rides and facilities or is that extra? If so how much per ride? Your E-Ticket gives you unlimited all day access to the four parks including Oasis Springs, Oz Adventure, Outback Explorers and Wildlife Trail. There is only an additional cost for the “up close animal experiences” and our “Surfs up” skilled based water activity. Have a wonderful time at Gumbuya World! Once you pay admission fee, are the rides included in price? Or are rides additional cost? Yes, tickets for Gumbuya World are on sale now. You can purchase your tickets online here. Hello just is there no concession price..
At this stage, no concession tickets are offered by Gumbuya Park. At this stage, family tickets are not offered for Gumbuya Park. Hi Just wanted to know if you will sell vouchers as this would be a great Christmas present. I am unable to see whether Gift Vouchers will be sold when the park re-opens. Check back in another month when the official website will be updated. There may be more information available at that time. As stated in the earlier comments, Gumbuya Park is undergoing renovations and won’t open until December. Is it open on Saturday? Gumbuya Park will be reopening in Summer (December) after extensive renovations. So unfortunately, there is a little wait until it reopens. Ticket prices are yet to be posted, so I unfortunately don’t have this information for you. I would check back in a few weeks, as the website will be updated with all the new information for the much improved park! When will the park be completed as my sons birthday is in December and we would like to know as we hope this will not effect his party? Gumbuya Park is scheduled for re-open in late December 2017.